Nadine wanted to do something nice for her parents who sacrificed so much for her and her sister to pursue their post-secondary education. She wrote in to The Marilyn Denis Show because she wanted to give her parents a bedroom makeover to thank them for everything that they have done for them. And their bedroom was in dire need of a makeover! Mickey and Satima’s master bedroom was not only dated, but had a hole in the ceiling from a leak in the roof that occurred two years ago. 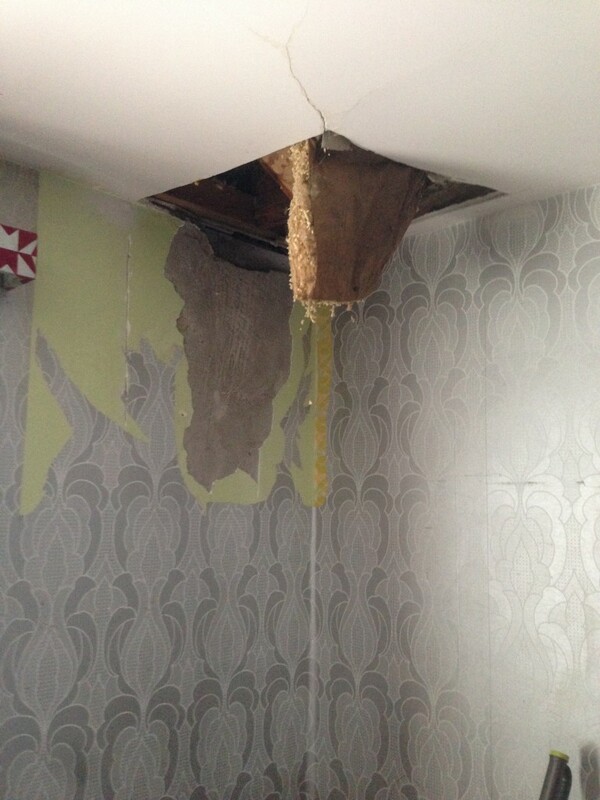 The roof was still leaking, the insulation was falling out, and there was mould due to the water damage. Celebrity designer Andrew Pike and contractor David Steckel were enlisted and up to the task. First, the roof was patched and the mould was removed. 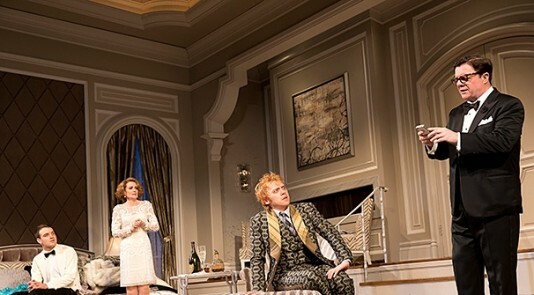 While the bedroom got updated floors, furniture, lighting, and paint, it was the new interior finishings that helped set the stage, bringing new life to the space. 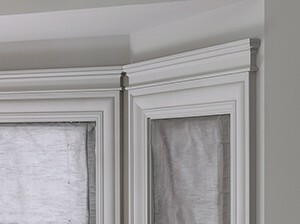 Metrie Fashion Forward Scene II trim elements were used, including new crown moulding, baseboards, casing and architraves, plus solid interior doors from the Collection were also installed. 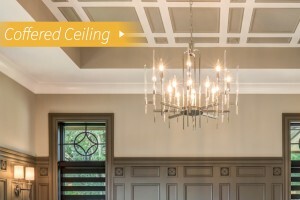 While there was an elegant feature wall consisting of Fashion Forward Scene II Panel Moulding, it was the ceiling decor that stole the show and was the focal point of this makeover. 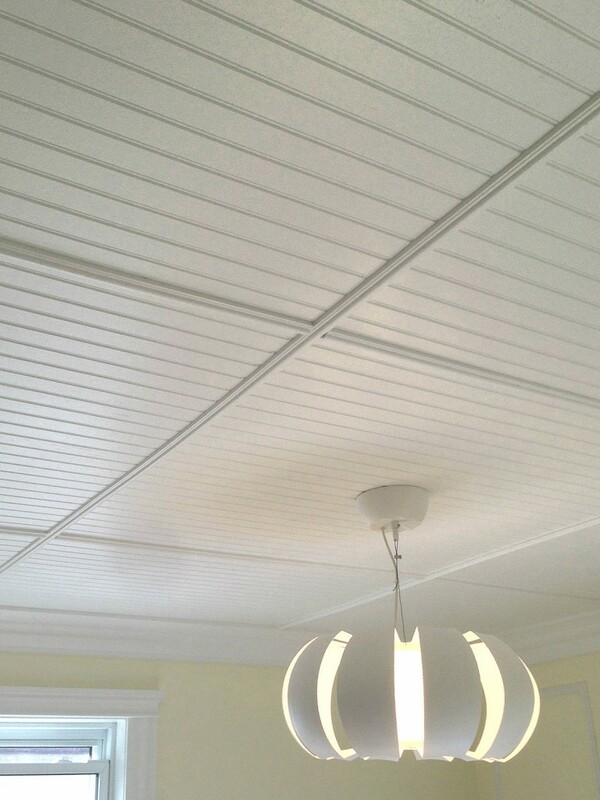 Pine beadboard and Fashion Forward Scene II Panel Moulding were applied to the ceiling. 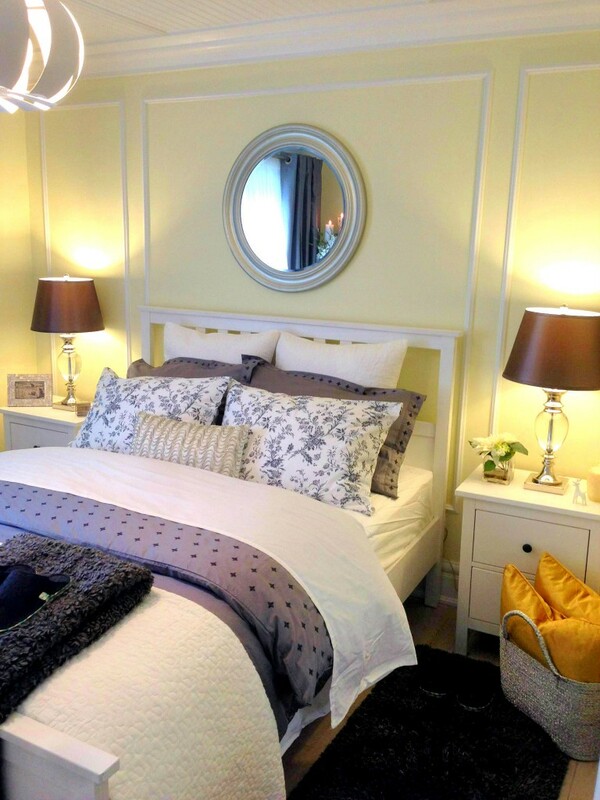 You can watch the ‘Scary to Stunning’ bedroom makeover unfold on The Marilyn Denis Show. Check here for Part I. Click here for Part II. 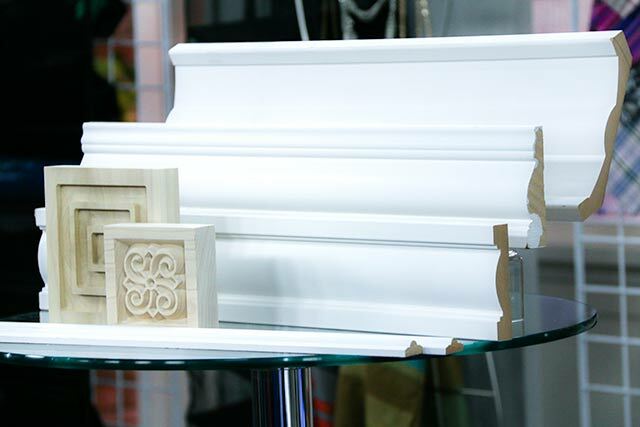 Collections of interior finishings, from crowns to Ikons and architraves to interior doors.